Dr. B.D. Sharma, Former Commissioner Scheduled Caste and Scheduled Tribes of India, Mr. Khandewar Expert on agriculture crisis, and Jayant Verma of Bharat Jan Andolan M.P. 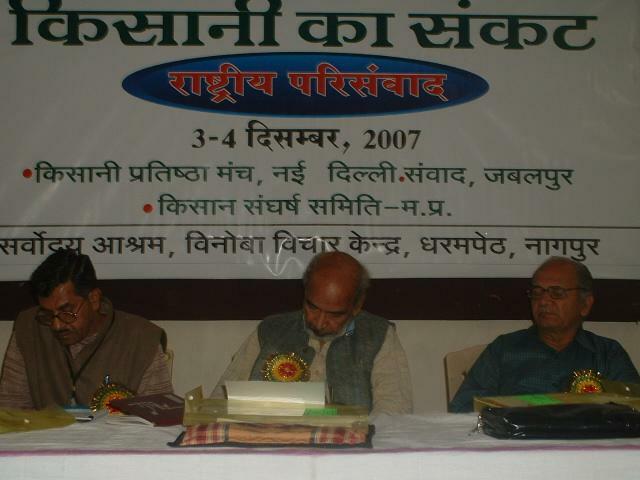 sitting on dais at the national consultation on agrarian crisis, organized by kisani pratishtha manch, Samvad Jabalpur and kisan sangarsh samiti of M.P. at Nagpur on 3rd of Dec 2007.